Very nice and thank you in advance, that you have found the way to my spring summer offer. I am happy to give you more information. Having lived in Spain for some time now, I have been able to discover some wonderful places. Which will certainly inspire you in a joint photo shoot. Simply be photographed in atmospheric light and environment (sea, beach, sun, heat) sounds great, right? The photo shoot will take place both on the island of Mallorca and in the province of Barcelona. -At 2 locations we like to choose together I am happy to assist you with suggestions. -the digital high quality editing is included. You are welcome to come in company. With the illumination of another person 60 € would be added. From 20.01.2019 up to and including the 28.02.2019 save additionally 20% of the action price. You can already preorder or book your photoshoot now. If you need more information or have special wishes, e.g. a yacht shooting or Fincashooting, you can send me an email beforehand at booking@bernhardvolkwein.com. A non-binding complete offer, I send you to you! I am looking forward to you and your companion, friend, spouse, children, grandma, grandfather, cousins, mates, club members, Adams Family or even the Kellies and your favorite animal, or …. To this displayed photo! 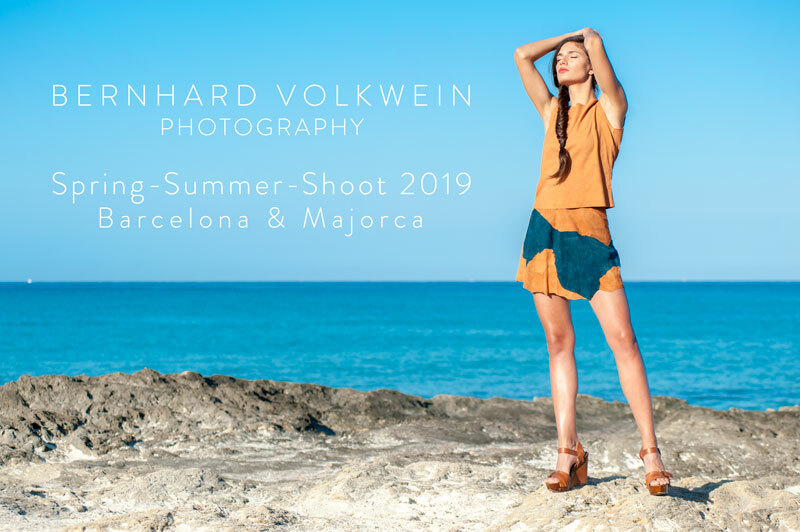 Here you see the great model Vicenca Petrovic @vicencapetrovic in an outfit by fashion designer Janna Lenartz, as well as Monique Bredow @ mb.moniquebredow with great MakeUp recorded in summery Mallorca.